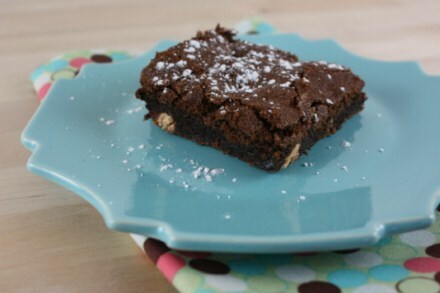 It is so easy to take a basic brownie and make it special by stirring in a few flavored chips. What is your favorite thing to stir into brownies? peppermint extract and chocolate chunks or andes pieces. Yum!